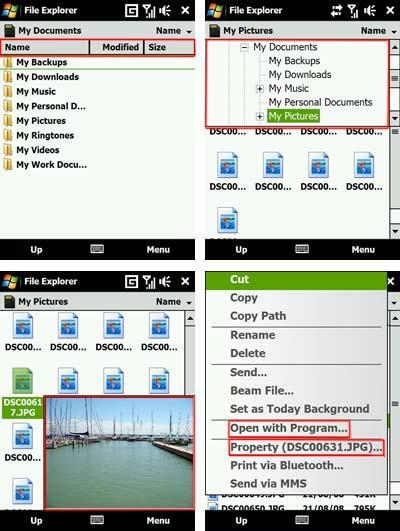 When it comes to file operations, the default Windows Mobile File Explorer is quite limited. This is a freeware by Hou Ming that addresses all the missing features that should have been included in the Windows Mobile stock File Explorer. # Show extension option for those who ask themselves the same question I do: “What type of file is this? # Open with Program allows you easily select an application to open the specific file you select (useful in case you don’t have the correct file associations or when you want Album app to open your images instead of Windows default picture viewer. # Sending shortcut to Programs for instant shortcut creation of executables placed directly in Programs folder in Start Menu.